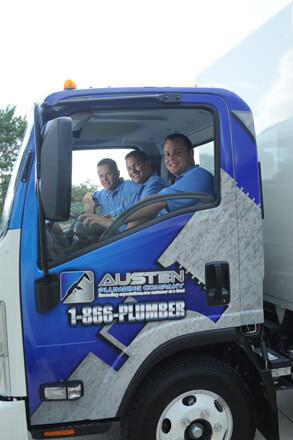 Austen Plumbing Company strives to be an experienced and respected name in Austin, Texas, and Bastrop, Texas offering routine and emergency plumbing services to homes and offices across the central Texas area. Serving multiple cities in Bastrop County and Travis County, Austen Plumbing Company offers an extensive and comprehensive range of plumbing services for small businesses, homeowners, and other property owners in the area. We specialize in providing industry standard plumbing installation services along with leak detection, video inspections, plumbing repair, pipe installation, and maintenance of water heaters, water softeners, garbage disposals, and sprinkler systems. Austen Plumbing Company boasts extensive industry experience with highly trained technicians capable of servicing all types of residential and commercial plumbing. We also offer leak detection and repair services for gas lines to ensure the safety of your family and home. With our complete range of plumbing services, we can handle all of your plumbing needs. We offer expert and timely repair for damaged pipes, leaking pipes, fittings and to ensure your plumbing needs are met. To learn more about why you should choose Austen Plumbing Company as your plumber in Austin, TX and Bastrop, TX, contact us online or by phone in Travis County. Why Should You Rely on Austen Plumbing Company? At Austen Plumbing Company, we are committed to providing professional plumbing services for homes and commercial customers located in an around Bastrop and Austin, Texas. 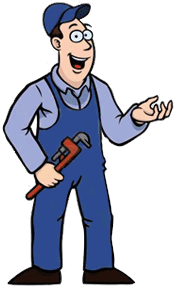 We strive to develop a loyal customer base that can rely on our expertise to satisfy your plumbing needs. The following are some of the main reasons you should call us for your comprehensive plumbing services. Whether it is a routine pipe repair, fixture replacement or an emergency repair, we are experienced and equipped to handle any situation. At Austen Plumbing Company, we take pride in our quality of work and reliability. When you call us for your plumbing needs, our experts will diagnose, resolve, and provide invaluable tips on extending the lifespan of your home’s plumbing system. Austen Plumbing Company provides a complete range of plumbing services for both residential and commercial customers in and around Bastrop and Austin, Texas. Preferred service agreements, annual home inspections, emergency plumbing repairs, and upfront pricing are just a few of the services provided by Austen Plumbing Company. Apart from providing expert and professional services, we also sell an extensive range of plumbing equipment including tankless water heaters, water softening and purification systems, garbage disposals, and more. Not only do we help you select the best product, we also install, repair, and maintain your equipment for longevity and reliable service. Our technicians can offer valuable advice when it comes to cleaning, maintaining, and repairing plumbing equipment and appliances in your home. Based out of Bastrop, we, at Austen Plumbing Company are proud to offer professional services to residential and commercial customers located throughout Bastrop County and Travis County. For more details about our plumbing services and how we can help you, contact our professional customer support staff today. Call us in Travis County or contact us online. As a leading plumbing company in Austin, TX, and Bastrop, TX, you can rely on us to serve your plumbing needs for everything from a routine installation to a late night emergency call.